Well, I guess I shouldn't be surprised. 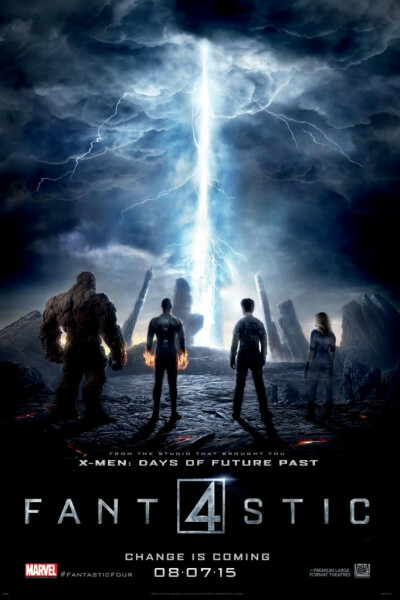 Like most attempts to re-boot The Fantastic Four, this one, too, fails to get lift off. I don't know whether it's the characters (it's hard to care for any of them in any meaningful way) or the story itself. The film begins just fine, a sort of "Super 8" vibe, but by the third act it simply oozes across the table and onto the floor, much like the volcano experiments it derides in act one. Autumn will be here soon enough and, with it, a slew of higher quality films.